DEEP CONDITIONER OIL/Butter mix with protein restores moisture for hair growth, healthy, shiny hair and to relieve dandruff. 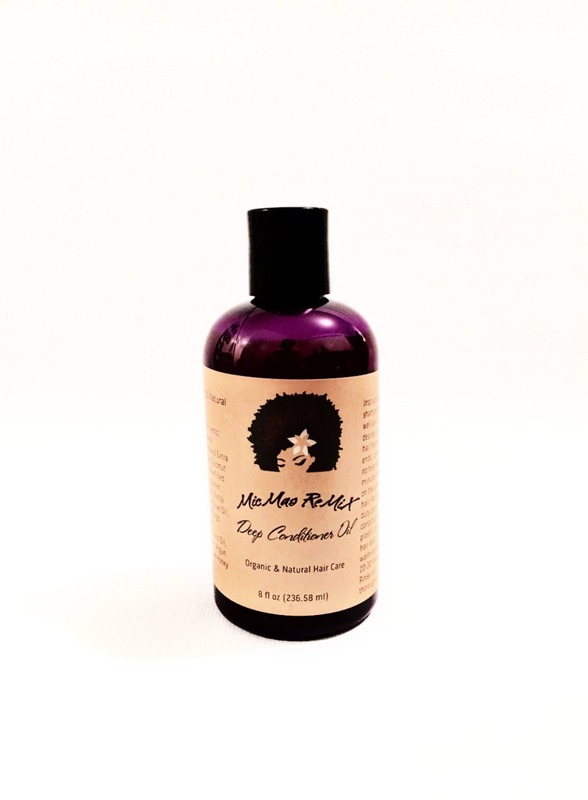 Our MicMas ReMiX Deep Conditioner Oil keeps it fresh to get to the root of healthy hair. 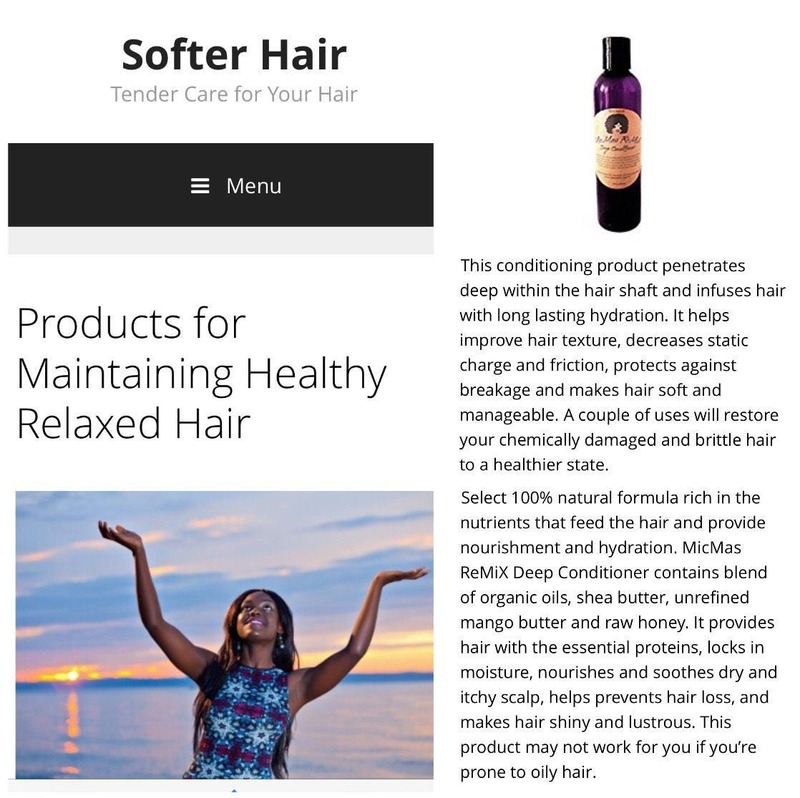 100% all natural ingredients feed the hair by providing nourishment and hydration. It helps improve manageability, texture and shine while aiding in hair growth. It mixes well with shampoo/conditioner as a nutrient rich boost or you can use it on its own if you prefer only natural ingredients. 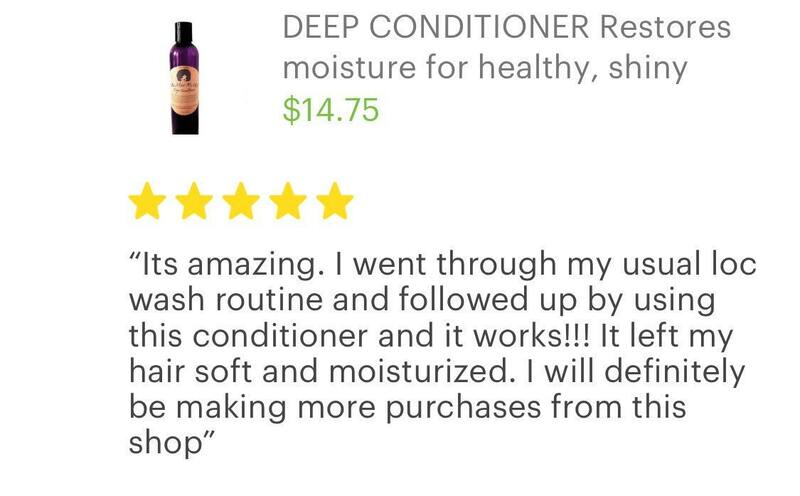 MicMas ReMiX Deep Conditioner feeds your follicles the nutrients needed to have beautiful lustrous healthy hair. • Acts as a humectant and prevents hair loss by preventing loss of moisture. The high sugar content of honey helps to retain water and thereby maintains moisture content of hair. In fact this moisture content helps to keep the cuticle soft. 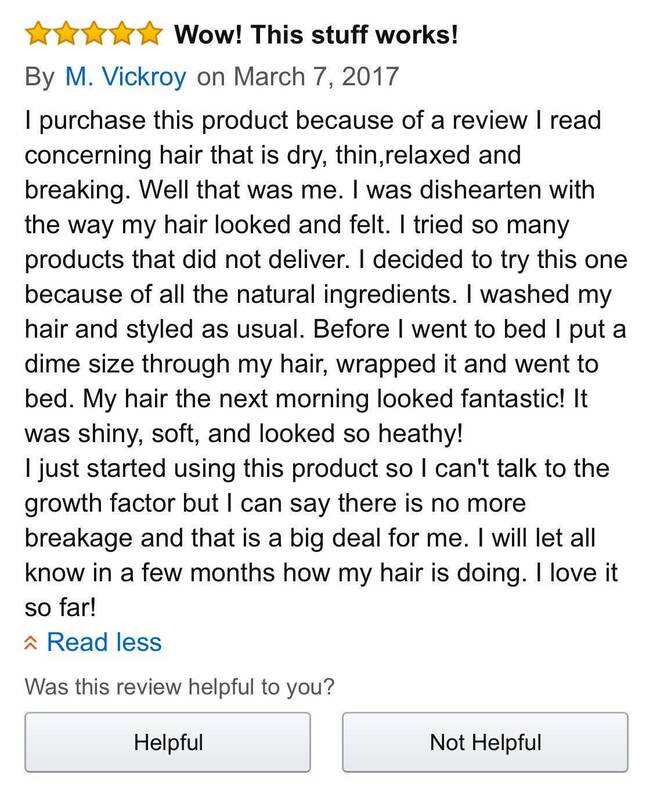 • Makes the hair shiny and lustrous. Lost shine can be brought back with honey. 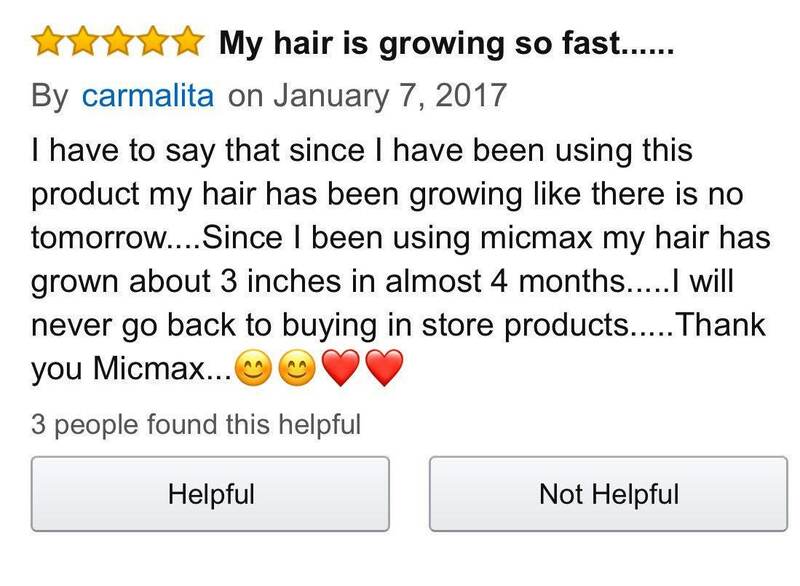 Just used today on my hair...will continue to use. Too early to speak on results yet. Great conditioner, the smell is just okay but this is one of the best deep conditioners I've used so far. Love that it is natural.